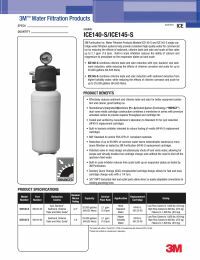 The ICE145-S Ice Filtration System was formerly labeled as Aqua-Pure ICE145-S.
System incorporates an internal automatic 1/4 turn shutoff valve. 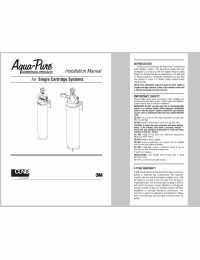 NOTE: 3M™ Water Filtration Products is formerly known as CUNO Incorporated. CUNO Incorporated was previously divided into CUNO Food Service, Aqua-Pure, and CUNO OCS.